Where parents usually see the dentist as a necessity, kids may see the dentist as a mysterious, albeit evil prison. Some kids may not feel comfortable in a strange place, dealing with a dentist who uses scary tools to clean a child’s teeth. With this in mind, taking a child to a kid’s friendly dentist will help the child adjust and develop a positive attitude toward the dentist. A kid-friendly dentist will not necessarily be the utopia a kid hopes for with toys, candy and only about five minutes in the chair. Nonetheless, a kid-friendly dentist will help create a welcoming atmosphere for the child to adjust. After all, the important factor is getting the child to receive a dental checkup and promote dental hygiene habits. 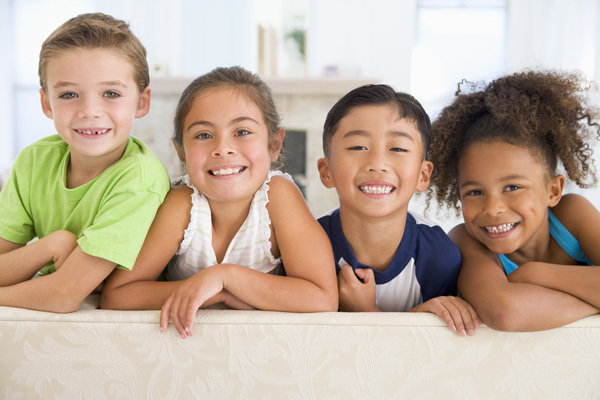 The American Dental Association, ADA, states that in 2014, at least 64 percent of children, under 18 years of age, visited the dentist every six months. While older children will go to the dentist with less fuss, a child under the age of 10 may have fears or trepidation in going. One step parents can take to help motivate a child to visit a dentist is to find a dentist that appears more kid-friendly. A kid-friendly dentist will be able to use gentle dentistry and keep the child calm. The child can slowly feel reassured that the dentist will not harm him or her through being gentle. Another benefit of a kid-friendly dentist is the atmosphere of the waiting room. A kid-friendly dentist may have some toys or age-appropriate books for the child to look at while waiting. This way, a child will not be bored and can loosen up a bit before the appointment. The best way to help a child hold a positive view toward visiting the dentist is by incorporating healthy dental hygiene habits at home. While proper dental hygiene at home can be easier said than done for children, it does not have to be such an uphill battle. Parents need to let children less than 6 years of age do most of the brushing without excessive help. Mouthhealthy.org explains to “Let them (children) start and jump in when needed.” The parent’s presence during the brushing is meant to ensure the child reaches all parts of the mouth that need cleaning. Parents can use this as an opportunity to teach the child proper brushing technique. Another way to help incorporate positive brushing and dental hygiene are to have the parent and child brush their teeth together. The child will see that everyone brushes their teeth and it is not just something that parents force their children to do. The parent can also use the opportunity to ensure the child is brushing properly. For children from ages 7 to 12, Mouthhealthy.org advises parents to “Keep encouraging healthy brushing and flossing habits.” By instilling proper dental cleaning habits at a young age, parents can help their child understand what will happen at the dental visit. For younger children, it may help to take the child to the dental office on a separate date before the appointment. Call the office a few days before the appointment and ask if the child can visit to see the office. Once the child feels more comfortable in the office, the appointment will not be as negative an experience. At Pearl Shine Dental in Houston, TX, we will customize your treatment to match your needs and schedule. Our professional staff creates a calm atmosphere for you during the appointment and treatment process. If you have any questions or are unsure of what is causing the pain in your teeth, do not hesitate to call us. We will answer any questions and make sure you get all of the necessary information. We can help prevent damage to your teeth and set you on track for a lifetime of pristine oral health. At Pearl Shine Dental, your experience with us and your dental health are our prime concern.